The silicone in the JBuds Hi-Fi earbuds makes it easy and highly comfortable to wear. They also come with 3 interchangeable sizes to accommodate a user’s ear. 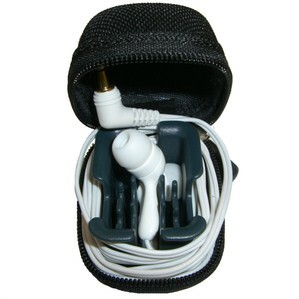 The ear buds also provide an elevated level of noise isolation to preserve sound quality. The high-frequency sounds of the JBuds Hi-Fi are inadequate and weak. The JBuds Hi-Fi Noise-Reducing Ear Buds are a decent set of earphones. Although they are highly comfortable to wear, the sound quality is far from great, especially high-frequency sounds. Overall, neither the resonance nor voice clarity is exceptional, but for the price, they’re sufficient. The JBuds Hi-Fi Noise-Reducing Ear Buds are a decent set of earphones. JBuds Hi-Fi are form-fitting, noise reducing earphones. The ear buds are made of silicon and sit inside of the ear canal, providing the utmost comfort. The JBuds Hi-Fi also has a noise isolation feature that effectively blocks out ambient surrounding noise. It also includes three pairs of interchangeable ear buds that customize the size of a user’s ear. Unfortunately, quality in terms of sound falls flat in this model headset, especially high-frequency sounds.